I want to thank my readers for sending me issues involving safe installations. The newest one came from my friend, James Tremayne of Professional Glass in Seattle, Wash. His email mentioned a glass adhesion failure he witnessed. 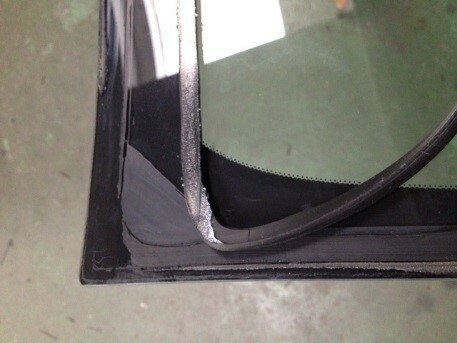 This is the second time I have seen Volvo glass with bonding issues. The first was with pre-primed parts coming from Volvo dealerships. The difference here is that this was not the familiar paint delamination that we have seen on numerous makes and models of vehicles. The problem Jim experienced was an adhesive failure to the glass surface. The vehicles involved were the 2010 Volvo S40 and a 2009 Volvo C30. These cars both take the FW2523 and the replacement glass in both cases were OE parts. Jim reported that one of these Volvos came to him with a leak complaint, and the other as a replacement, but both displayed the same condition. It seems that the failure is showing itself on the top of the glass only and not on the sides or bottom. I did some research on Volvo leak problems, and found a large number of complaints concerning wet floors after a rain. Most of the suspected causes were the sunroof drains, but I also noticed many reports that fixing the sunroof didn’t work and the cars still leaked. Of those I reviewed, only one suggested the windshield seal as the culprit. I called my expert at Saint Gobain, the OE supplier of the glass, and learned that Saint Gobain does not prep the glass in any way before it is shipped to Volvo. Any pre-priming or glass preparation is done by Volvo at their distribution and assembly plants. Currently, we do not know the reason for this failure. The problem could be incorrect preparation, manufacturing defect, installation problems or adhesive defect. We also don’t know if this is widespread or just in a particular area. However, we do know that this is incorrect and if you have a customer that complains of a leak on their Volvo it is best to inform them of the issue and suggest replacing the windshield. If a leak detector is not available, I would water test and determine the location of the leak that way. If it is coming from the top seal and the glass is OE, I would suggest replacement instead of a reseal. Once the diagnosis is made, it would make sense to replace the windshield with a brand of glass that is not the OEM. If the OEM part has a built-in defect, which we do not know at this time, all we would be doing is replicating the problem. I would then proceed with the installation making sure that I follow my adhesive manufacturer’s instructions for the removal of non-traditional contaminants. What seems ironic to me is that Volvo is famous for vehicle safety and demanding the use of their products for the sake of performance and to preserve the safety of their automobiles. Yet, at least some of the products they supply appear to be inadequate to that end. 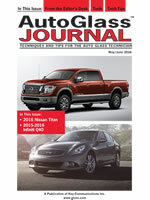 If anyone reading this post has some insight on this issue, please contact me at bob@autoglassconsultants.com. I have run into this for several years, Dan boehmer is correct in stating that a razor blade will take off the black factory primer. I would also recommend using beta brade to clean the glass after taking off the OEM primer. I have run into it on several volvo models. Glad this is being addressed. Several months ago after a day of hard rain I found two inches of water in the driver’s side floor well. More recently after a heavy rain I discovered water in the back seat floor well. I run my car through the car wash one or two times a week and there was no leaking. Today I took the car in to the dealership for scheduled servicing and asked them to check for the problem. They said it was a loose wind shield and recommended I contact another company to reseal the wind shield, The company, specialists in glass replacement, said the entire wind shield would need to be replaced. It will cost me several hundred dollars on top of the $148.50 cost for diagnosing the problem. My car is out of warranty but I think this is a factory defect issue as I noticed other complaints about this issue in this model. I have a 2013 XC60 with significant water leakage from windshield on driver’s side only. I took to dealer yesterday. My car is out of warranty but I have extended warranty. The EW does not cover this. They said it would cost me $325 for the repair ASSUMING that the glass is not during the repair at which time I would need to pay for a new windshield. WTF!!! I believe this is a manufacturer defect and should be covered by VOLVO regardless of warranty issue. Jo, I have a 2013 XC60 and am experiencing the same problem (driver’s side only) and no go on the extended warranty either. I agree it sounds like a warranty issue. What was the outcome of your repair? Have you made a NHTSA complaint to prompt a recall? 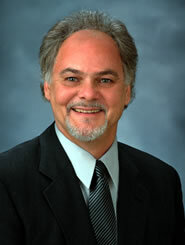 You will be reimbursed for repairs made if a recall occurs. dido. 2012 Volvo XC60 windshield started leaking about two months ago. Water running down the inside of glass on both driver’s and passenger’s side. Carpeting is wet. Evemn saw water inside of dome light. Didn’t bother taking to dealer because I didn’t want to give them the pleasure of giving me a ridiculous quote to fix an inexcusable defect. Every other car I own has a rubber seal along the top edge of the windshield, but not the Volvo XC60. I just placed a hefty bead of clear silicone caulk in the gap along the top pf the windshield. Waiting for next rainfall to see if problem is fixed. on the inside or outside? Did it work? I would like to know also if it worked. My Volvo 2012 CX 60 windshield leaks at the top. A glass replacement business and the Volvo dealership both said that the windshield would probably break while trying to fix it and it would be $750 for a new one. My son has suggested the clear silicone caulk. Did you caulk the outside or the inside of the window? Thank you. I am anxiously awaiting your reply. The bonding of the windshield failed in 2017 on my 2012 Volvo XC70. My local glass company said he has seen this issue on Volvo cars for years. He cleaned everything, prepped and installed the windshield that was removed, but a month later the bonding failed again through no fault of his own. The factory install was not done correctly. It was how it was prepped. I had him install a Pilkington windshield and it’s perfect. Joe, I am having the same problem with my 2011 XC70. Do you mind telling me who you used and how much it ran you? Thanks. I own a 2010 S80 that would leak water into car along top edge of the front glass windshield or in a heavy downpour. The dealer said the roof drains were the problem and recommended a pricey $600 repair kit. Also, they recommended running fishliine down the drain to unclog the left and right drain. That seemed more practical so I watched a few YouTube video, got my fishline and noticed upon opening the sunroof there was no easy access to the drains. The glass kept leaking. As luck would have it, a rock hit my front windshield and the glass needed replacing. I explained this persistent leak to the glass repair tech. He took of the factory glass and showed me a limited amount of adhesive bonding the glass to frame well. He replaced the glass put some extra adhesive on the surface and it has not leaked. Thanks again Bob! I just sent this on to all my guys. Hi Bob, This is the same issue we covered last year on the XC crossover model. The common denominator in all cases is that release occurs across top only. This is also the area where a value added UGM is attached to the glass. No scientific proof, but my theory is the UGM contains a contaminate that is leaching onto the substrate, or is applied before properly cleaning the glass surface prior to the primer application. It may not be relevant but the frit is between the lamination rather than on the bonding surface as well. The charcoal paint primer as opposed to clear fluid types of primer is easily removed with the pass of a razor blade. Bob , I understood that these were replaced with oe glass that was pre primed. If so did tech use clear primer on top of black primer? Dow stated to prime black on black clear on clear This is a very common mistake made by techs. If this is what is actually happening there is more to follow. Both windows were were the original Volvo windshields. One I was called out on for a replacement of a broken glass. The other we were called to investigate a waterleak. In both cases we performed a replacement in line with AGRSS standards. The leaking windshield was removed without breaking but was not reinstalled since we have no idea as to the cause of the original adhesive failure. Both windshields were found to be unbonded across the top, from corner to corner. Bonding was complete down the sides and across the bottom. They were different models, a S30 and a C30, but both use the same windshield, FW2524. As far as I remember, Volvo got China involved in the Brand. And when it’s about chinese stuff, I think twice. I think Volvo need to do a thorough investigative trail through the entire glass production to establish why the seal is failing. I know my Volvo is a little older but I just purchased a 2004 V40 and the rear passenger windows have some sort of pits or growth like tiny little stars in-between the laminate. I have owned many Volvos and NEVER have I seen this. I would like to know if anyone has this issue as you cannot fix it and Volvo should have had a recall on the glass! I have a 2009 s40 w water issues. Had the sunroof drains cleared 2x. Today, on a nice 40F winter day I went for car wash. About 2/3 thru I got splashes of water coming down from rear view mirror area, then dribbles down my portion of windshield. Exacerbated ofcourse by high speed dryers. Manager at car wash has never seen this happen. I’ll be visiting a glass place tomorrow. So frustrated w these water issues and I’m aware their is a class action against Volvo for drainage issues with sunroof. Im too late though. I’ll post what I find out and def. show them your findings. I bought my 2011 Volvo C30 new in Feb. 2010, and I just had windshield come loose across the top! I noticed a loud rattling sound when I got in my car this evening. As I was searching for the source I pushed on the drivers side top corner and it was extremely loose. It seems to be the passenger side as well. This is so disappointing for Volvo. I did report it to Volvo even though my car is no longer under warranty. I haven’t had any water leakage, but after this weekends storm I probably will. Clogged drain for moon roof and loose windshield in my S-40. Car still under warranty but Volvo dealership said neither was covered!?!? I have a 2010 C30 and it has begun leaking recently with water collecting primarily in the passenger footwell. after very heavy rains. After drying out the carpet multiple times and cleaning all drains several times I finally found a rubber seal or gasket in the top right outside corner of the windscreen that appears to have contracted and left a small gap that could allow water in. This sounds alot like what is being talked about here. I have not taken it to the dealer yet because I thought it had to be a clogged drain and therefore my problem. My question is would you expect that a Volvo dealer or Volvo itself will be responsive to this? I have a 2013 XC60 which seems to be leaking down the windshield? I purchased it in 2014. I already have issues with the cv joints & other things. Interesting thread. My 2011 Volvo XC60 has just started leaking at the top left driver side of the windshield. Hi, I have the same car with the exact same problem. How were you able to reseal it from the inside? Did you take it to someone? 2009 Volvo S80. Windshield leaking. We push on it and it moves. Will have to replace the whole windshield. I agree with Glasseye posted above. Investigation needed. This is a safety issue. 2012 Volvo C30 50k miles and I’m taking it to the dealer next week. Small leak from the top of the windshield at the car wash on both the driver and passenger sides and now I notice if I push on the glass from the inside, it is loose across the top. Ugh. I have the same exact problem, Van! Noticed a leak when I put my car through the wash. It appears to also be driver’s side part of the windshield. I also have a 2012 C30 KPax. This is on top of other issues that have come up for me for this vehicle. I called a glass shop and they said they would not reseal and it would have to be a glass replacement job that would go up to $400+. Urrrghhhh! I have a 2008 V70 Wagon. When it rains (or worse, at a car wash) water comes down through header just to the left of the dome light. I had it in to the dealer three times, no luck, not even determining if it was the moon roof or the windshield (they claimed they resealed the windshield, cleaned the drain tubes from the moon roof, straightened out a kink in the hose, etc.) Yesterday I tried science! I ran a hose over just the top of the windshield, leaving the moon roof untouched. After about 6 minutes or so, water started pouring through the area surrounding the dome light. So I guess it’s the seal at the top of the glass. Time for a replacement. This is Tim with Glass Doctor of Jacksonville Fl, We have ben doing all of Osteen Volvo and Volkswagens glass for a long time and have dealt with this issue over 100 times. If you have a good technician you can remove the glass with the bond failure, clean and prep the surface again, re prime pinchweld after slightly scratching it with a scratch pad, and re install the original glass back in. we experience about a 1 in 10 break ratio while pulling these. This saves your customer a lot of money, and should be tried first, but always have a backup windshield on hand for that 1 in 10 break. We recently had this problem on my spouse’s 2012 Volvo XC70. We originally took it to the dealership and they stated the seal had broken and would need to be fixed by a glass company. When we took it to Safelite, they stated it was a factory installed windshield and they did not understand why Volvo was not repairing it. So we called the dealership to speak to the service advisor. He stated this problem occurs frequently on Volvos and Volvo considers it maintenance, so they would not cover the problem. Our issue is that if this is a widespread problem with Volvos, they should proactively repair the problem or they should contact Volvo directly in order to get them to pay for the windshield regardless of how they classify the repair. In addition, it is a product liability issue. Other comparable products on the market do not have this problem. So, we filed a BBB and Kansas Attorney General complaints. We also filed a complaint with the National Highway Traffic Safety Association, because it does pose highway safety issues due to the potential to leak water during storms while driving (could cause a wreck) and good cause other mechanical damages if too much water leaks into the vehicle. Volvo put in writing that if the dealership would have contacted them directly about the problem that they would have remedied the issue. Apparently the dealership did not do this and we have since complained. The AG recently mailed use a letter suggesting that we take the dealership to small claims court, but we are torn on whether we want to do this or not because we also believe Volvo should be proactively recalling vehicles due to the widespread issue. So, to all of you out there with similar windshield issues, please file your own BBB, state attorney general, and NHTSA reports against Volvo. If enough people get their complaints on record, they will eventually be forced to recall and to fix the problem themselves rather than pushing the cost off on the customer or the customer’s insurance company. Just make sure to get documentation that it is a factory installed windshield such as pictures and a written statement from the repair shop. Filed a complaint today with NHTSA and BBB. I replaced my 2013 XC60’s windshield today after severe water intrusion has occurred over the last month. When pressure was applied to the top of the windshield from inside the vehicle the whole glass could be separated from the car (I have video of this). When the glass was removed it was visible that the gasket was not attached to the glass at all at the top section of the window. Volvo told me there is nothing they can do now without a recall. This is a severe safety issue in the event of an accident, I amazed at the amount of documentation on this issue. I’m in the same situation with a 2013 XC60. Can you tell me what the fix cost you? I’m afraid the City Safety feature is going to give the glass servicer reason to ramp the price up on me. I have a 2009 V40 and have experienced leaking of increasing severity. Today there was a pool in the driver side footwell after a heavy rain and when I turned the steering wheel, water started dripping from the wheel and the horn shorted out, honking continuously until I disconnected the battery and eventually the horn relay. There is water dripping from the overhead lights as well. I read this post and, sure enough, when I push up on the windshield it is clearly not bonded across the drivers side top. Very frustrating that the dealer doesn’t cover this defect. Wow, I’m astounded at all the owners that have the same problem we are experiencing with our 2011 XC70. We bought it used in April. It had impeccable service record, so we were very surprised when we noticed a leak: Top of front windshield on the passenger side. We had it checked by our local mechanic and they said to take it to a glass shop, which we have yet to do. (We are out in the country and nearest Safelite is 2 hours away.) I’m taking it in to Volvo dealership tomorrow for 82,500 service and intend to ask them. I’m anticipating they’ll advise us to go to a glass shop, but I want to be part of this online comment trail. Agree, it is a safety issue and something Volvo should deal with. We have been astounded in rainy weather how bad visibility has been, and that was the main reason we got a Volvo—for safety. Love everything else about it. I’m in about the same position as everyone else posted before me; 2010 C30 leaking air and water at the top. The dealer says they can’t fix it and advises me to go to a local glass company. That vendor says they can only replace the windshield and the gasket. I called Volvo America and opened a claim. They advised me that before they can offer assistance, I need to take the car to a dealer! Talk about a runaround. I’m going to follow thru though because this is manufacturing defect that Volvo of America needs to do a recall on. I also have a 2010 C30. In late November 2017 I was in a minor accident on the freeway. Something came off a big rig in front of me and hit the windshield as well as me running over something. I assume the truck blew a tire, as the truck started sparking underneath. The noise was so loud, I thought the windshield had broken. When I pulled over, I didn’t see any real damage but a small piece of molding was loose near my front tire. Over the next several days I would hear a loud jarring noise whenever I hit a bump a certain way. Also, when the passenger door was slammed shut. It sounded like my car was falling apart. It continued to get more frequent, but I couldn’t tell where it was coming from until we started getting freezing temperatures in the morning and I could actually see the windshield rattle over every bump. When I placed my hand on the upper driver side of the windshield, I could actually push it far enough to create a gap between it and the car. I just had the windshield replaced and it was covered by my insurance since I was in an accident. The windshield tech showed me that there was no primer on the glass across the top and in large areas down both sides. Although I had never had any issues with leakage, it was probably that way for a long time and the accident jarred it loose. I shutter to think what would have happened if the accident had been more major. If the airbags would have deployed, I imagine they would have pushed the glass right out. There are so many reports of this, I am shocked Volvo has not issued a recall. My 2012 XC 60 is in Volvo shop regarding water dripping from upper left corner during rain/car wash for last few months. Getting worse, that is, now dripping across to left of middle. Now occasionally dripping on my feet! The retractable roof gutter is completely free of debris, and drains water freely without a problem. The dealership is keenly aware of this problem. We’ll see how this turns out. Follow up: Briefly, Dealership, an hour away, promised nothing but to check out the problem. Left the car there. They gave me a loaner! For Free!!! They found the wind shield seal was, as expected, bad, and removed the seats/carpets as they were wet, so they could dry out. Repaired the seal. Total cost was $0! Great outcome. So, seems they will fix windshield for free, but there is no recall. Anyway, good outcome. Happy me. Merci de nous avoir fournie le VIN de votre véhicule. Nous vous recommendons de communiquer avec M. Daniel Bouffard, Directeur de Service chez Volvo Trois-Rivières (819 691 3025), pour prendre rendez-vous afin d’effectuer le remplacement sous garantie du pare-brise de votre véhicule. N’hésitez pas de nous contacter pour toutes questions ou commentaires que vous pourriez avoir. In short they tell me to go see my nearest Volvo garage to get it fix for FREE. I’m just back from the garage with a fix Windshield 🙂 thanks Volvo. We have a 2011 XC60. Leaking around top left of windshield. When we call Volvo dealership were told they could bring in a windshield company. $125 to diagnose and then whatever the repair was is on us. It is over 75 miles to dealership so decide to find a local company. Found this thread when searching. Thanks to everyone for the posts. Going to pursue with the dealership and Volvo. I wanted to provide an update to my post on 03/28/2018. As I stated I pursued this issue with my Volvo dealership (Royal South Bloomington IN). I provided the link to this blog and an explanation of my problem. The service rep was great and immediately became my advocate with Volvo. It took diligence on his part, but Volvo did agree to replace the windshield FREE ON CHARGE. My thanks to all for this BLOG and all the comments. It helped to provide evidence that my vehicle was just one of many with the same issue. Thanks guys good tread: I also am having leaking issues with my XC90 2006 Volvo which I purchased new in 2006 from the Montgomeryville Volvo dealership, which is no longer in business, forcing me to travel even farther to the Doylestown dealership whenever service is needed, Which me being in Philly, is at least an hour travel each way and requires me to remain there until the repairs are completed, or asking for a loaner and having to travel back and forth 4 times. The leaking seems to be in the upper right side of the windshield, creating a pool of water in footwell on the front passenger side. I will be contacting Volvo of North America to determine if it can be repaired at their expense, because it is clearly, evidenced by the repeated complaints, a factory install issue. I will provide a link from this site to them. I’m so glad I found this thread! I’m in Wisconsin and will be taking to the nearest Volvo dealership to see what they say and hopefully get a free fix (and will show them this thread)! I’ll update when I have an outcome to report on. I have the same issue & am in MN. Mine leaks @ top of front windshield in car wash-drips on dash- & in rain-drips down inside front of windshield. I will also update when I have an outcome to report. Want to add to this thread as my 2011 Volvo XC60 also has leaking that causes the driver’s side floor to even have standing water in it from a heavy rain. I bought it a year ago and noticed a small amount of wetness on the floorboard once or twice but then it was winter and I didn’t have the issue. The problem started up again once warm weather arrived. Thought it was the sunroof drains but nope, the windshield definitely has give to it and isn’t sealed correctly. The mechanic who works on my car actually sent me the link to this thread. I have a 2008 S80, had first water leak after a car wash and figured it was a fluke. With the recent heavy rains here it had started leaking regularly, thought sunroof at first because it was coming down from above rearview mirror. Then the other day I found drops on top right corner of the glass so this must be coming from top of windshield. May 2017 driver side leak shorted out my Bluetooth speaker. Volvo wouldn’t repair… Sent me to glass repair company. They resealed the windshield. The windshield was detached top left. 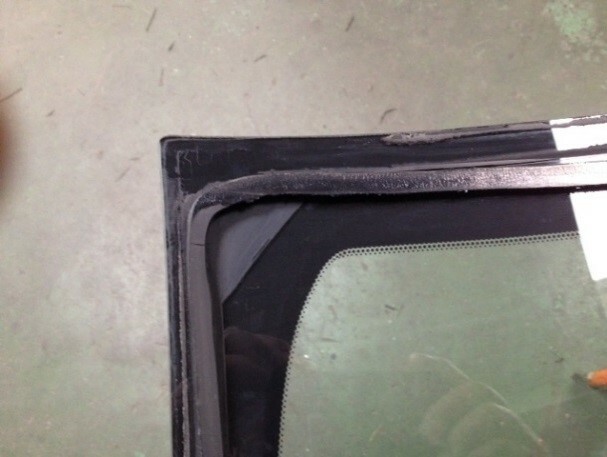 Same story… They have repaired and replaced many Volvo windshields due to same problem. November 2018… Bluetooth speaker is not working… Water leaking same spot again. I have an appointment at Volvo dealership next week… Not getting my hopes up that they will help me. This is unquestionably a safety issue. Same problem with my 2012 xc60, left drivers side leak. Was told by Volvo dealer to go to a glass place. This is unbelievable. I am having the same problem. A few days ago my 2013 XC60 started leaking from the driver’s side at the top. I can’t believe this hasn’t been recalled or at the very least covered by North American Volvo when it occurs. I’ve been told many times by service advisors that these cars are built like tanks. Why isn’t the windshield seal guaranteed for life? It is an immovable part that should be considered part of the safety structure of the vehicle. This thread is only one of three extensive threads I have read online discussing this same problem with Volvo. I will file a safety complaint with the NHTSA because that is one way to help facilitate a recall. No one buys a car of this quality and expense expecting to pay up to $900 to “maintain” their windshield seal. Have a question for you folks. I just bought a 2012 Volvo C30 T5 R-Design. Next day it sat outside in a heavy rain. The following day I noticed the driver side floor mat was wet I took it out and felt the floor was damp and that it was not solid— you can press down on. Took the mat out and let it dry but did not replace it. I put a thick garbage bag +2 plastic shoeboxes into the drivers area including up above but under the foot pedals. It poured again for a day and the next day I opened the car door to see that the garbage bag was dry and no water in plastic shoeboxes. But then I removed them and found standing water in the upper left-hand quadrant of the driver’s side floor. I sucked it up with my mini shop vac and actually tried to punch a hole in the floor to get the water that was obviously below it. Fortunately or unfortunately I did not have a tool adequate for the job. I came inside and went online and discovered this blog. On Christmas Eve I attached a garden hose and ran water from just above the driver side corner of the windshield, still hoping it is a clogged drain from the sunroof. It is apparent the gasket is not meet at that corner. I had popped off the plastic near the door frame and tried to lift the yellow foam insulation up. I did not run water long enough to actually puddle floor but the foam appeared to be more soggy. I spent Christmas with my hairdryer trying to dry the foam so I do not have a fungus or mold problem. The dinner foam above the floor on the outside is also quite damp. The one Volvo dealer I was able to speak to today of course and not heard of this windshield issue but assumed it was most likely the sunroof drain and would happily look at it for $159 which could be applied to the repair unless of course it’s the windshield and of course they do not deal with windshields. I really want to make certain that you all who have discovered that it was a windshield seal or gasket issue did not have water literally dripping from the top of the windshield through the cabin onto the floor as opposed to what I have (no water on the floor coming from the cabin but from under the floor as evidenced by the dry garbage bag). I am having the same issue with 2012 XC60. Windshield started leaking driver’s side only. Dealership said $300+ to take out and reseal but if it breaks during repair then a new windshield is $1000+. Sounds like a lot of people are having the same issue. I am having the same issue with my 2012 XC60. Leaking down the windshield on the drivers side. Took to my local Volvo dealership & paid $135 for them to clean the sunroof drains, they said the seal appeared to be fine. Not so – raining today and the leak appears worse. Bracing for the cost to replace the windshield. Sounds like a manufacturing defect to me – Volvo should issue a recall or cover the repairs. Just today realized that the stench in my car after it rains is caused by a completely detached windshield in my2011 Volvo C30. I couldn’t find the leak but knew I must have one. I was sitting in the driver’s seat when my daughter got into passenger side and slammed her door. The windshield literally bounced. It is detached at the top driver side. Jesus, what a safety hazard. How is this not a recall issue!? Same issue here. 2012 XC60 Leakage during rain storms on driver side. I checked the sunroof drains, they were fine. Waiting for appointment at Volvo Manhattan. HAs anyone gone to this dealership? What was your experience? 2012 XC70-ditto issue -top left drivers side leaking- dealership checked out sunroof but said nothing about this issue. Also experiencing battery drain from 2 components that were not ever turning off/going to sleep. Cost me for a new battery and $480 software update. I’m fuming that they don’t cover manufacturer defects. Is there any car company with integrity left standing?